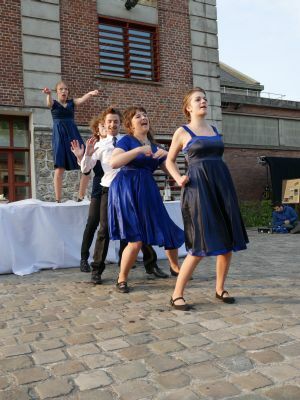 ’Bouchée à la Reine’ - premiere at Arsène festival at Université d’Artois ! lundi 28 avril 2014, par Mathilde Vautier. 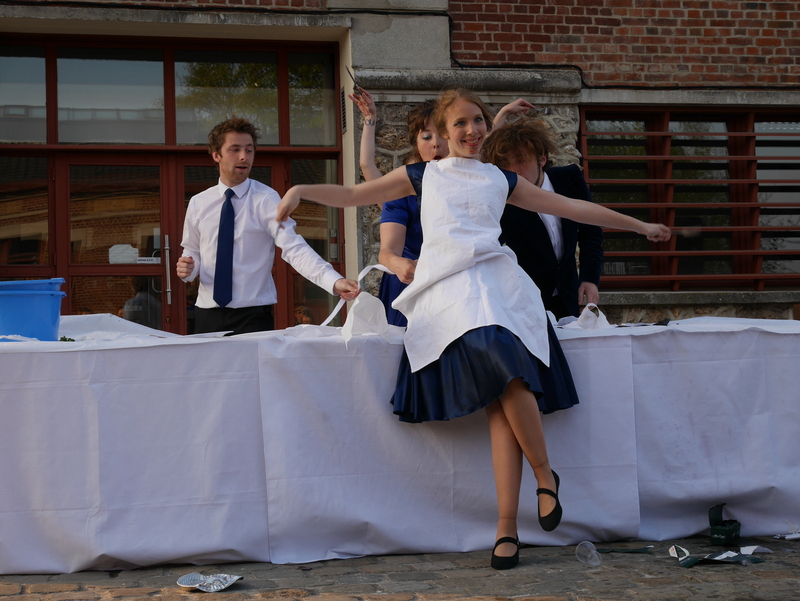 Friday 11th April 2014, as part of the last day of Arsène festival, organised by the Université d’Artois and held at Culture Commune, the very young Push Plus company presented (at last !) their first show ‘Bouchée à la Reine’, premiere in France and in Europe (!). 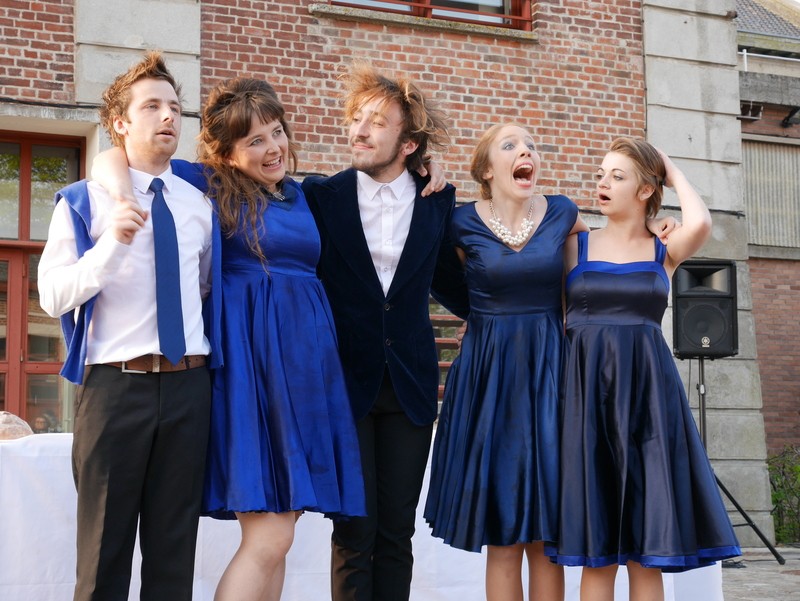 Who was the most stressed between the Cultural services team from the Université d’Artois, the team at Culture Commune, the students-performers themselves or director Matt Feerick, we don’t know…But there was excitement, adrenaline…real good adrenaline !! Several months ago, the crazy idea of students from the Université d’Artois creating a whole new show from scratch was born…little by little, ideas took shape, students revealed their performance skills…and there it is, the actual SHOW, premiered on this 11th April 2014 : the title is ‘Bouchée à la reine’, it’s real…and god it’s great ! There is content, there is shape, there is performance…and what a team ! A crazy bunch of characters totally bonkers. A great start for this show, which you can see (again) at the Z’arts Up ! festival in Béthune in a few weeks, at Hat Fair in Winchester in July and on Picardilly Street in Abbeville in September. 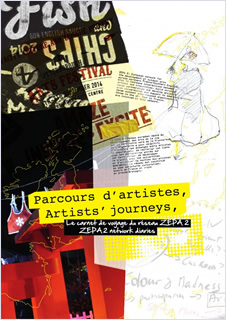 A proper Anglo-French tour within the European Zone of Artistic Projects (ZEPA) ! 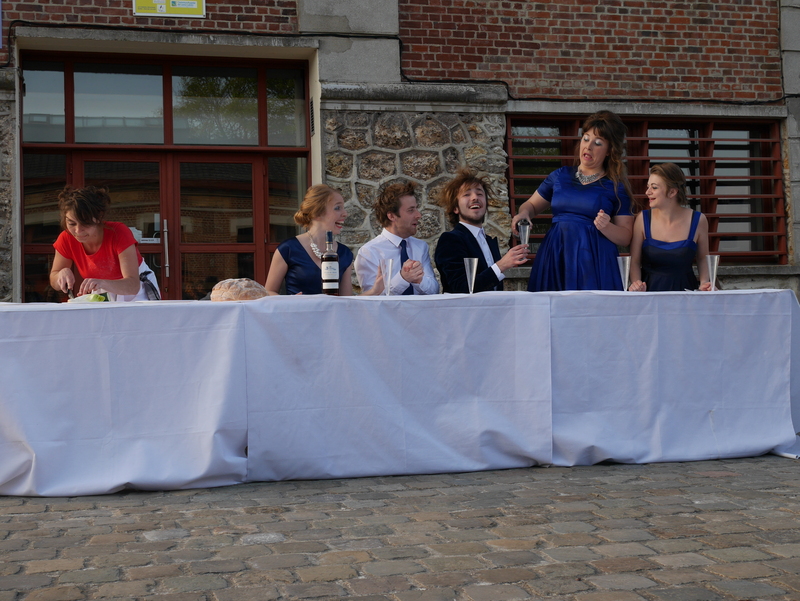 Well done and thank you to Alice Danel, Benoît Hautefeuille, Chimène Kab, Maria Jesus Lopez Rubio, François Mallet, Eléonore Rouland… and Matt Feerick to have taken on the challenge…and achieved brilliantly !